Sean Combs: Howard University Commencement Speech - Do You Know How Powerful You Are? "Do you know how powerful you are? YOU will change the world. Let that sink in!" unless you push yourself to the front of the line." I have always been a fan of Diddy, Puff Daddy, Sean Combs for countless reasons. Yet, I was most inspired by his drive and participation in the NYC Marathon, that he mentioned was 10 years ago. Hard to believe 10 years have flown by. I was so inspired then, I even donated to his cause. 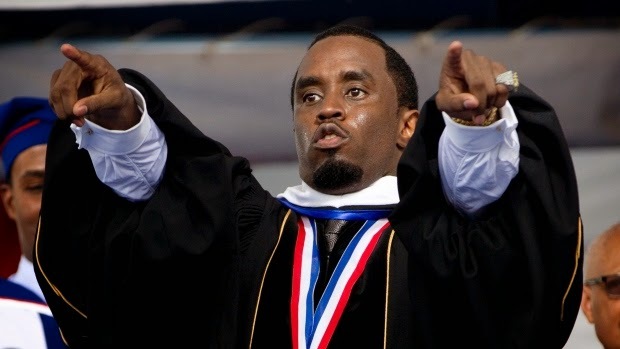 After weeks of controversy surrounding Howard University’s decision to award Diddy with an honorary doctorate of humanities, the media mogul took the stage to address more than a thousand graduates, even those who disagreed with Howard choosing him as the commencement speaker.